2 Bedroom Flat For Sale in Haslemere for Guide Price £200,000. 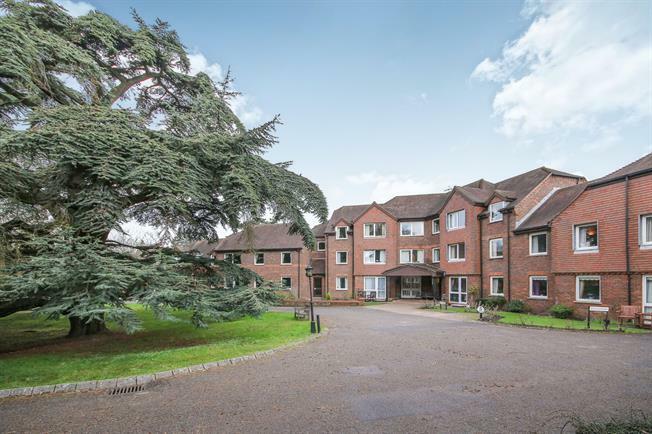 This well presented two bedroom apartment is situated on the first floor of this purpose built retirement complex, affording views over the communal grounds. The light and spacious accommodation comprises a dual aspect reception room, kitchen with window, two double bedrooms, bathroom with double walk in shower, and ample storage cupboards. Outside, there are communal grounds, and the complex itself has laundry rooms, communal lounges which host a range of activities including coffee mornings and a guest suite for visitors available for booking.